I know, I know! Your Spring beer calendar is filling up fast, but please do what you must to make room for one of my favorite events. St. Louis Microfest is one of this beer town’s premiere festivals and it’s coming up. One of the few festivals that has the range to run multiple days, Microfest features international, national and of course local beer selections during 3 sessions over 2 days. It’s big, it’s wet and it’s awesome. 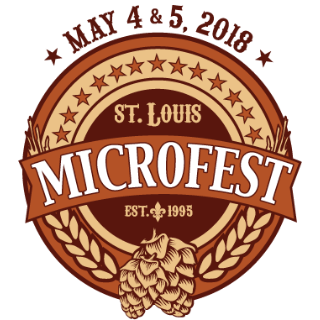 The numbers of brewers attending Microfest continue to astound and have made this festival one of St. Louis’ biggest on pure beer selection alone. The 125 expected at this year’s event are combination of returning veterans as well a good number of rookies. “We’re so thankful for the support of all of these breweries, they’re helping make our community a better place and helping the many youth we serve,” said Sauer. We are actively soliciting and adding to this year’s pour list. Please save this link and check back as we get closer to the event for the most updated list. Six Mile Bridge Brewing Co.
Tastes from over 125 breweries and 600 international and craft brews. What’s in the VIP Experience? In past years, I’ve avoided investing in VIP experiences, but my tune is changing a bit. For Microfest, you may want to consider it. Aside from the culinary adventure featuring masterpieces created and prepared by Chef Tom Cohgill of Iron Barley Restaurant, you’ll find plenty of special beers made only available with this ticket.